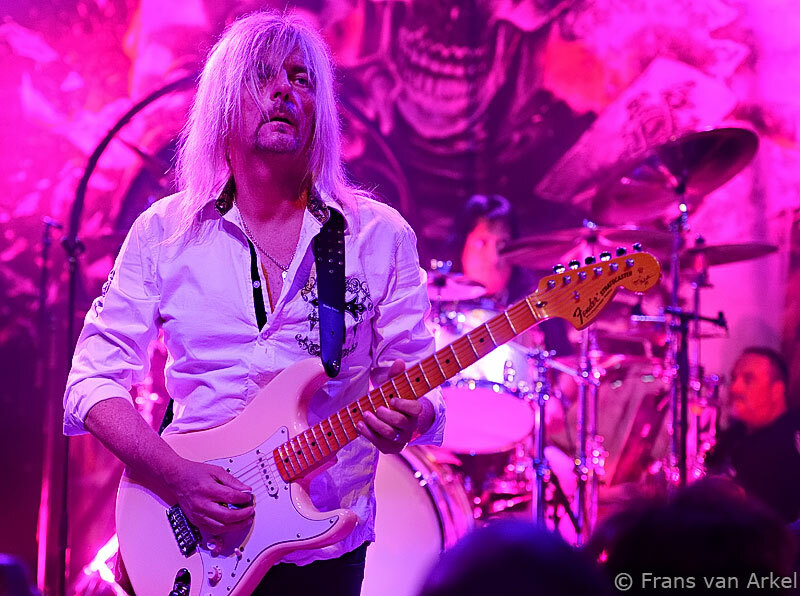 Five months ago Axel Rudi Pell started his European Tour after the release of his new album "Game of Sins". He planned just like two years ago an European tour that has been split up in two legs. The first leg was last April, now in September it's time for the second leg of the tour. Where in April the German rockers Mob Rules were the support act, now for this part Lords of Black is the opener for the shows. Ofcourse for Rainbow fans this is much more interesting as Ronnie Romero, who sang on the three Rainbow live gigs last June, is the singer of Lords of Black. The venue is Weert is quite small and has a tiny stage. The place was packed when Lords of Black started their show. The Spanish band plays heavy power metal. Much heavier than the songs in the Rainbow catalogue. They have two albums out, "Lords of Black I" and "Lords of Black II". Lords of Black impressed the audience with their fast power metal. They did songs of both their albums. With the heavy 'Merciless' in which Romero gave us right away his Ronnie James Dio-like vocals they made clear they came to rock the place. The venue changed in no time in one hell of a hot and steamy place. 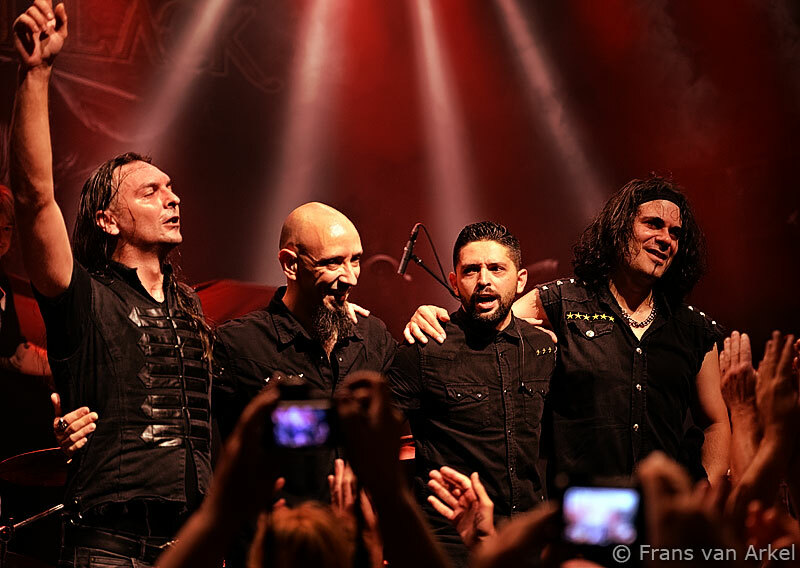 Lords of Black continued their show with more great powerfull songs like 'Nothing Left to Fear', the catchy 'Everything You're Not', 'Lords of Black' and the very heavy 'Shadows of War'. 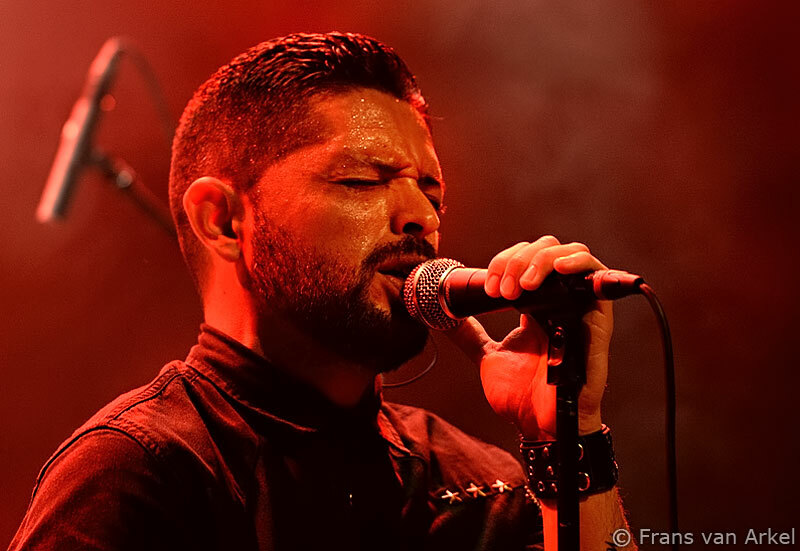 Ronnie Romero, who looks like a deadringer for the Freddy Mercury in his later Queen days, showed his skills just like we witness a few months ago as well when he was sharing the stage next to Ritchie Blackmore for three shows. And he seemed to enjoy himself here on stage in The Netherlands, just like his other bandmates guitarist Tony Hernando, drummer Andy C. and bassist Javi García. The audience reacted very well to Lords of Black and later I even got the impression that some people must have left when the headliner came on stage cause it seemed a little less crowdy in front of the stage. After their set they even returned on stage for an encore and gave it all once again with Black Sabbath's 'Neon Knights'. Romero excelled on this song which ofcourse was original sung by the very first Rainbow singer Ronnie James Dio. What a great way to end this short gig. The sound was not at it's best, the lights were kept low, typical for a support act. Still Lords of Black made a very good impression. 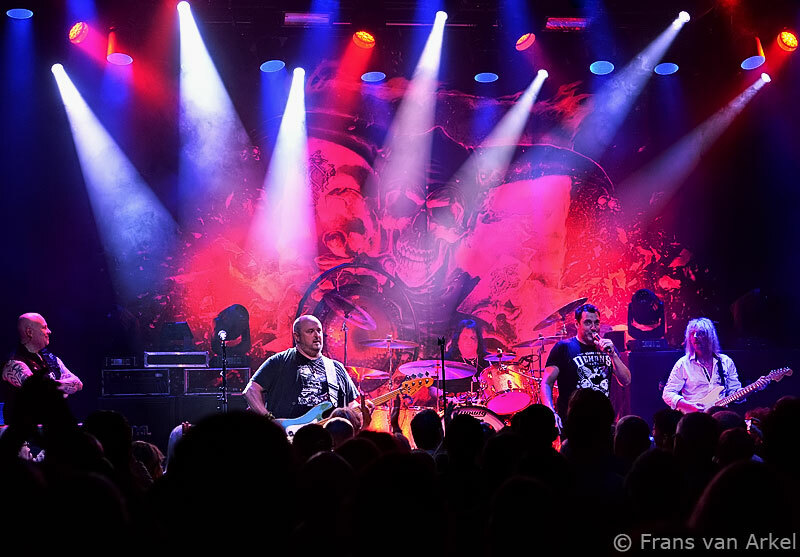 They'll return in December for more shows in Europe including two in The Netherlands. Don't miss them! 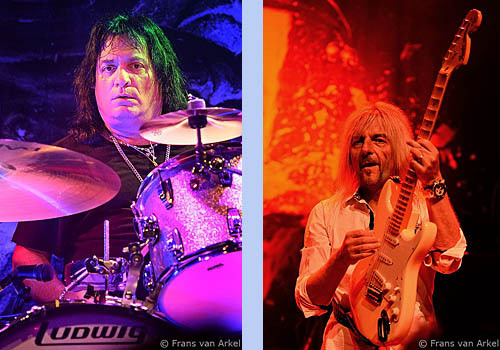 Axel Rudi Pell and his band were up next. We met up shortly before the show with our long time friend Henk van Schijndel who also has written many reviews for us in the past and he offered to give his views on Axel & Co. So here is his review for the headliner of the night. 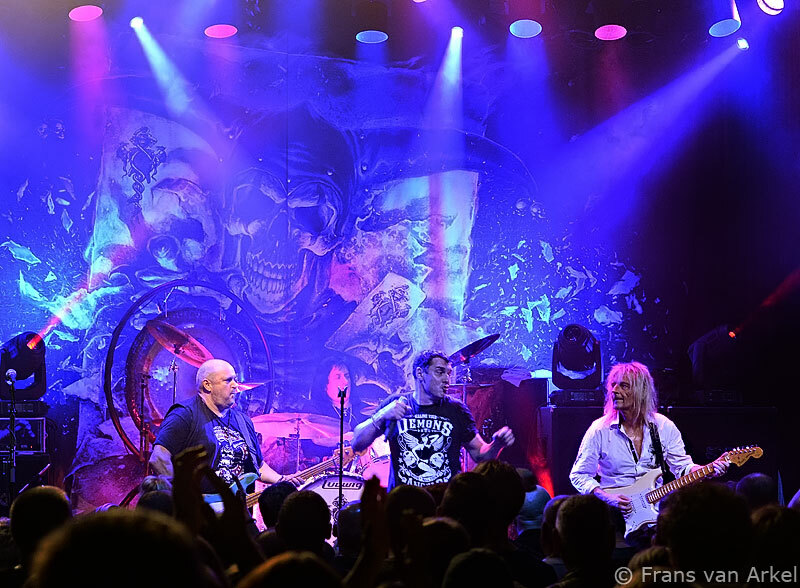 Axel Rudi Pell returned to our country for another gig to promote his new album "Game of Sins" that was released early this year. For those who have the album know Axel is a pure rock musician who has a wide range of pure rock interspersed with ballads. This was also what was performed at his gig in Weert. The band was in good mood and started after the jolly intro of "Lenta Fortuna' with 'Nasty Reputation'. Johnny was to full of energy, just the way we are used to, and his voice was in good shape. I still wonder where that guy gets the energy from. Axel Rudi clearly showed that he appreciates the Dutch fans. He immediately greeted familiar faces and looked very motivated. So the band opened diligently and played equal 'Strong as a rock' after the opening numbers. The fans in the venue were immediately in a fine mood and the atmosphere was very good. 'Oceans of Time' followed with masterful guitar work. Johnny played with the audience as usual again. The concert continued with 'The Clown is Dead' and the energetic 'Burning Chains'. The keyboard solo by Ferdie was next, he can play his keyboard from all sides. From classical to heavy, it all comes out of his fingers. Eventually the solo lead on to the title track of the album 'Game of Sins'. Here Bobby took the lead by playing perfect rhythm drums. This song ended with a dazzling drum solo. This time he was not playing with only his hands like he once did with 'Over the Rainbow'. During the drum solo the venue went completely wild. Even though Bobby is not a tall guy, behind the drums he is huge. His drum solos are always different. The concert continued with 'Mystica' in which Axel also started a jam session with Ferdie. Johnny announced the next song by saying that he would do his best to sing it as good as possible. It was a sensitive song. Axel Rudi then started 'The Line' and I must say this song gives you goosebumps. To finish 'Edge of the World' was deployed and the venue was again whipped up by an inexhaustible Johnny Gioeli who repeatedly had to wring out his shirt. In the encore we got 'Masquerade Ball' with 'Casbah' played in one piece and the show was finally ended with 'Rock the Nation'. Afterwards I had the opportunity to speak to the band members. They were very satisfied with the audience and are happy to play again in the Netherlands. Axel found it nice that he often sees familiar faces. He was also glad that the album is so well received. Then after some more talking to Bobby and Volker we went home with a satisfied feeling.